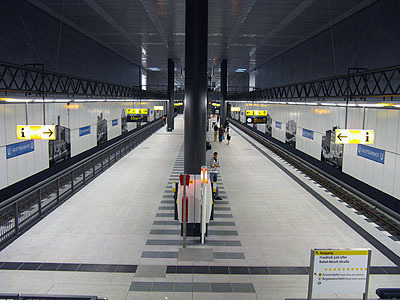 Large-profile line with ~110 m long platforms (6-car trains of F and H stock in service). 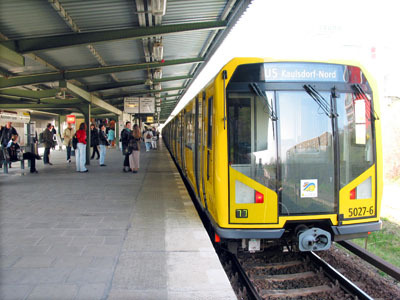 On line U5, every other train terminates at Kaulsdorf-Nord during off-peak hours. 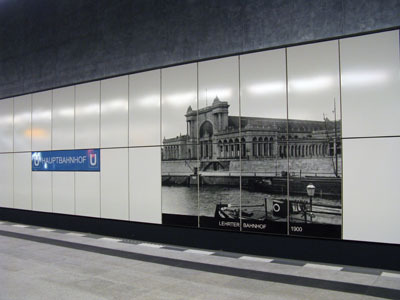 The present U5 basically consists of an underground section opened in 1930 and a surface extension completed in 1988/89, with a short underground section from 1973 in between. 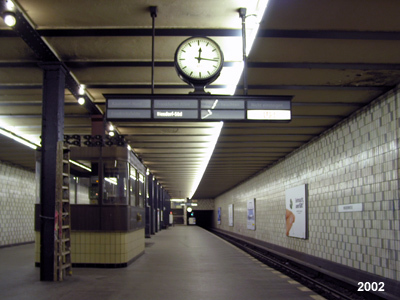 Line U5 was once entirely located in East Berlin and was the only large-profile line in that part of the city. 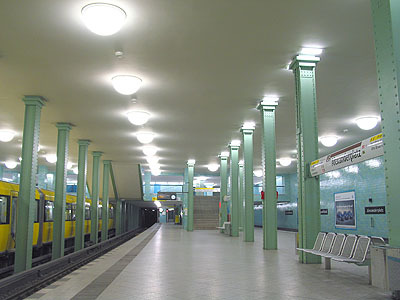 Although a western extension had been envisaged from the 1930s, this will not be realised before 2020. 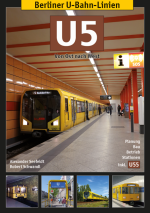 Operated as an isolated line, U55 eventually started operating a 3-station shuttle service in 2009. 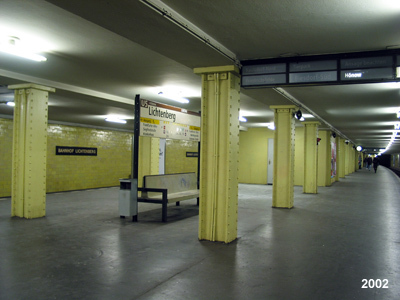 From 2010, the missing section between Alexanderplatz and Brandenburger Tor will be under construction. 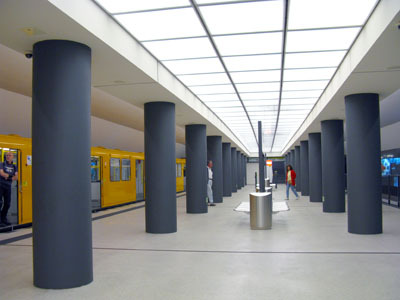 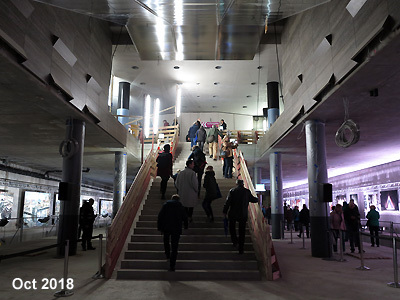 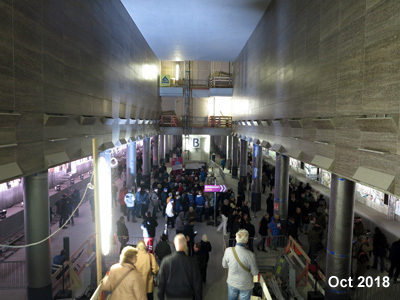 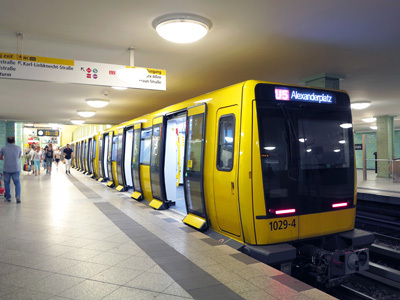 There will be intermediate stations at Unter den Linden (transfer to line U6), Museumsinsel (Humboldtforum / Schlossplatz) and Berliner Rathaus. 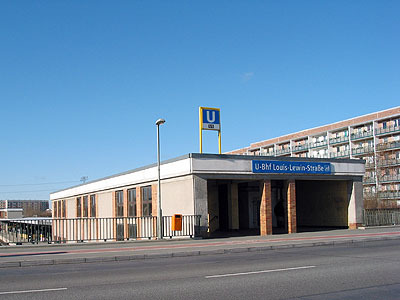 Operated as an isolated line, U55 eventually started its 3-station shuttle service in 2009. 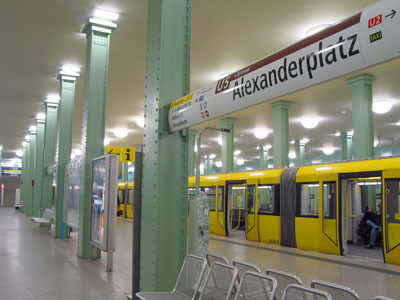 From 2010, the missing section between Alexanderplatz and Brandenburger Tor will be under construction. 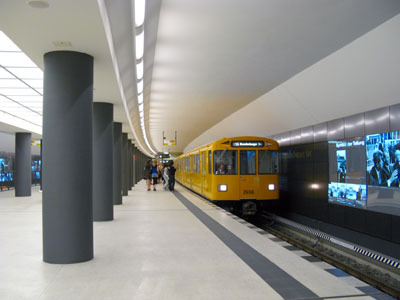 There will be intermediate stations at Unter den Linden (transfer to line U6), Museumsinsel (Humboldtforum / Schlossplatz) and Berliner Rathaus. 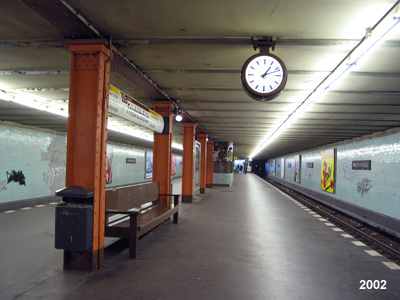 Click here to view photos taken during a tunnel walk on 27 May 2004. 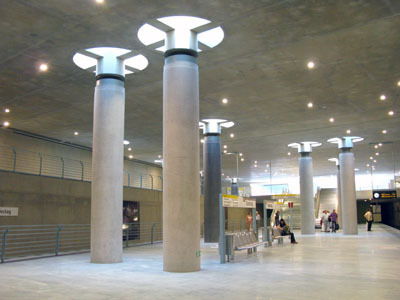 Located on the far eastern side parallel to the underground tracks of the new central railway station opened in 2006. 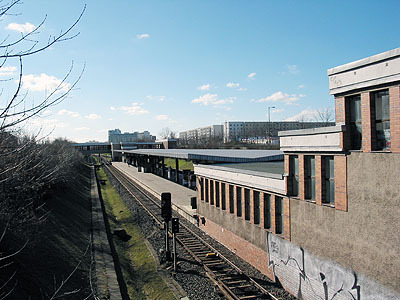 4-track station, with the outer tracks unused and once built in provision for a line to Weißensee. 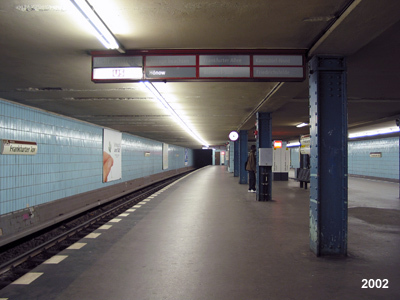 Underground station lying diagonally below the S-Bahn and mainline tracks. 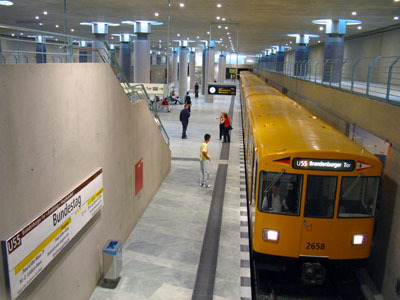 Island platform on an embankment. 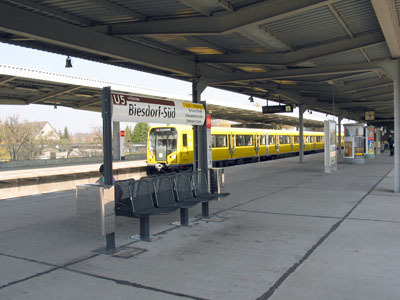 Cross-platform interchange with S-Bahn line S5, with the U-Bahn on the inner tracks. 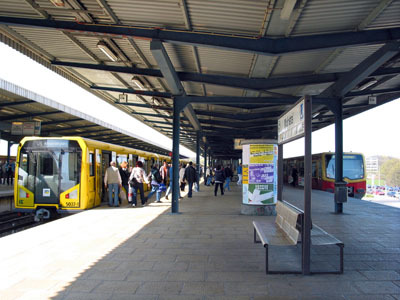 Terminus for every other train during off-peak periods; in a cutting. 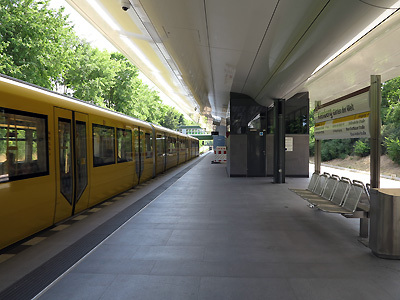 Island platform in a cutting. 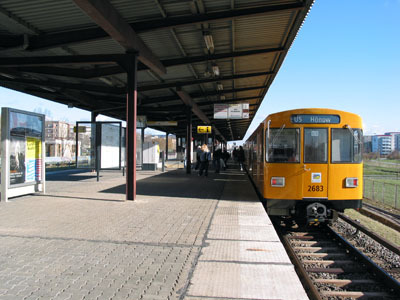 Stub-end 3-track terminus with island platform and one side platform; at grade.